This rugged drone can handle nearly any survey or inspection task. Until now, consumer drones have been primarily marketed towards hobbyists and filmmakers. At Mobile World Congress in Barcelona on Sunday, DJI revealed their latest drone line, the Matrice 200. These sensor-laden quadcopters are designed with commercial and industrial applications in mind. The M200 series consists of three individual models. The baseline M200, which offers a single downward-facing gimbal mount. The M210 features a pair of downward-facing gimbal mounts as well as a top mount for filming objects overhead. The top-of-the-line M210 RTK offers the same mounts as the 210 but also incorporates two RTK (Real Time Kinematics) modules for "millimeter-precision navigation," according to the company. The new M200 series shares a number of features with DJI's previous generation of UAVs. The new models use the company's flight management systems, the DJI Pilot app for controlling the UAV through a mobile device, intelligent flight features like subject tracking, autonomous circling and ActiveTrack. 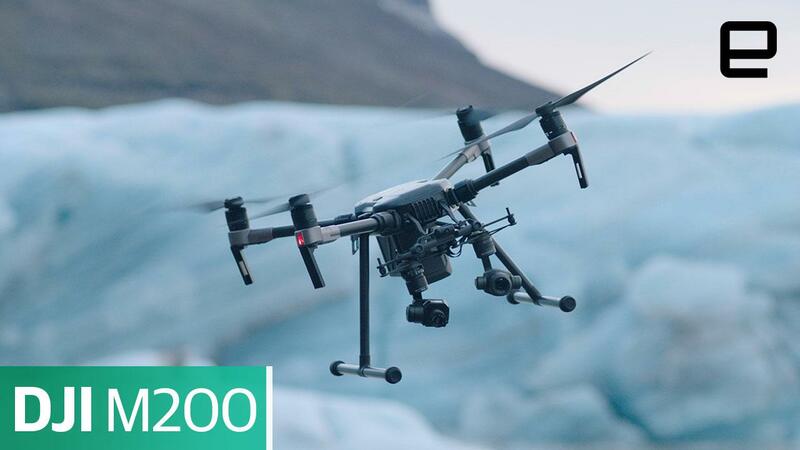 The M200s also employ Flighthub capability, which allows the pilot to stream the drone's video feed to a remote station in real-time. What's more, they also incorporate DJI's Flightsense algorithm, which enables the drones to autonomously avoid and reroute around obstacles in their flightpath. The M200s are also rated IP43, which means they can operate in mildly inclement weather. Think more along the lines of light rain and snowfall, rather than thunderstorms and hail. 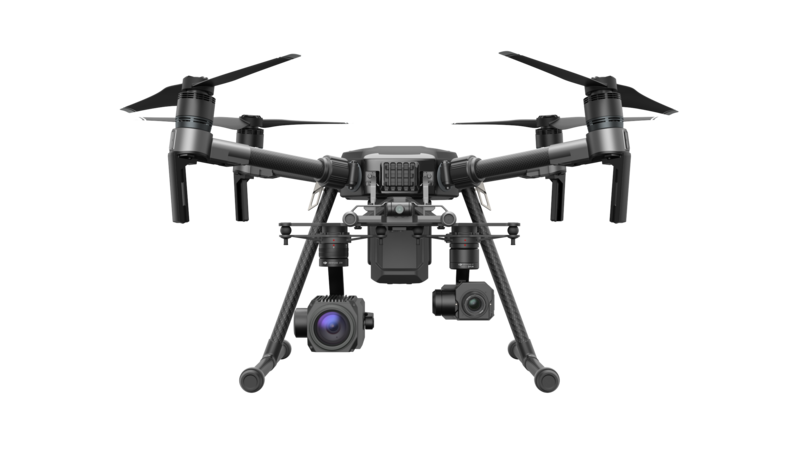 On the hardware side, the new line offers the same dual battery setup (which provides up to 35 minutes flight time)and 3D integrated imaging as the Inspire 2. Similarly, they can be operated with the dual controller method that allows one person to control the drone's flight while the other operates the cameras. The M200s can carry a variety of imaging accessories including the Zenmuse X4S, X5S or the FLIR-capable XT. They can also handle the Z30, which offers 30x optical zoom plus an additional 6x digital zoom. The new models also offer the same front and side obstacle avoidance system we saw on the Phantom 4 Pro. Best of all, the M200s incorporate ADS-B receivers. ABS-Bs enable manned aircraft to track one another (as well as drones) and safely share the airspace. If the M200s wind up in the flightpath of a larger aircraft, the ADS-B will alert the pilot, imploring them to take evasive action. You won't likely find the M200s hovering around your local park or on movie sets. These drones are built for nitty gritty industrial work like bridge and cell tower inspections, construction site mapping or for emergency response. DJI hasn't released pricing yet, though the company does expect to have them available for sale by Q2 2017.